There will no doubt be plenty of beer and fireworks this Fourth of July. Although we celebrate Independence Day on July 4 every year, that may not be the correct date of America's independence from Britain. In fact, John Adams wrote a letter to his wife Abigail hailing July 2 as the day people would celebrate America for generations to come. That's because on July 2, 1776, the Second Continental Congress voted to approve a resolution for independence. However, America celebrates July 4 because that was the day the Continental Congress adopted the Declaration of Independence. 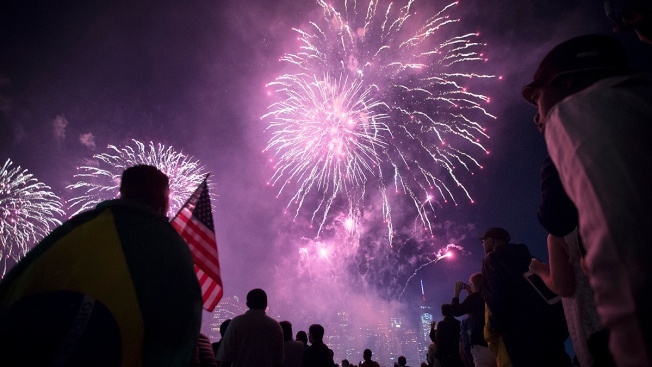 15,000 - The approximate number of July 4 fireworks shows that took place in 2014, according to the American Pyrotechnics Association. 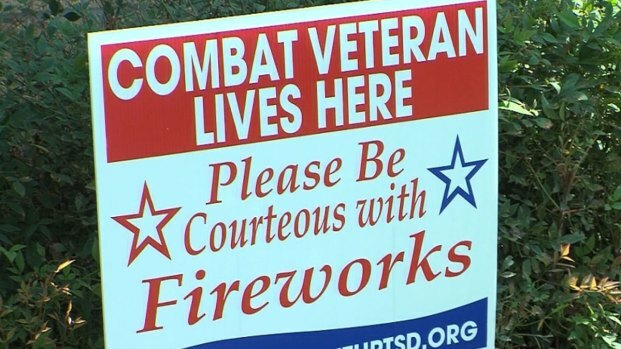 Veterans suffering from PTSD ask for courtesy as Fourth of July fireworks celebrations ramp up. 41.9 Million - The number of travelers AAA predicts will travel 50 miles or more from home during the holiday weekend. 150 Million - The approximate number of hot dogs to be consumed on the Fourth of July, according to Marketresearch.com. 61 - The number of hot dogs San Jose native Joey Chestnut ate in 10 minutes to win the annual Nathan's Famous Fourth of July Hot Dog Eating Contest at Coney Island in Brooklyn last year for the eighth time in a row. He also proposed to his girlfriend, fellow competitive eater Neslie Ricasa. She said yes. 69 - The hot dog eating record Joey Chestnut set in 2013. 6.8 Million - Number of singles sold of Katy Perry's "Firework" from her third studio album "Teenage Dream," according to the Recording Industry Association of America. 99 - The percentage of consumer fireworks that are made in China, according to The New York Times. 3 - The number of U.S. presidents who have died on July 4. Thomas Jefferson and John Adams both died on July 4, 1826. James Monroe also died on July 4, five years later. 1870 - The year Congress passed a bill to make July 4 a national holiday, though it has been celebrated as early as 1977, according to Time. 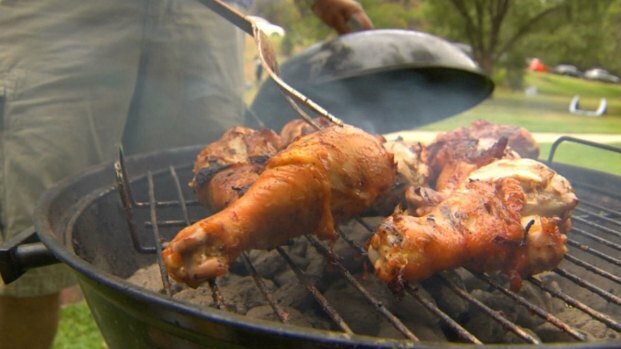 $55.84 - The average cost of a barbeque cookout this summer for 10 people, according to a survey of grocery stores in 30 states. Don't let food poisoning ruin your holiday. 201.6 Million - The number of pounds of fireworks consumers used in 2014, according to the American Pyrotechnics Association. 15 - The number of seconds San Diego's fireworks show lasted in 2012 when tens of thousands of fireworks were accidentally shot off at the same time. 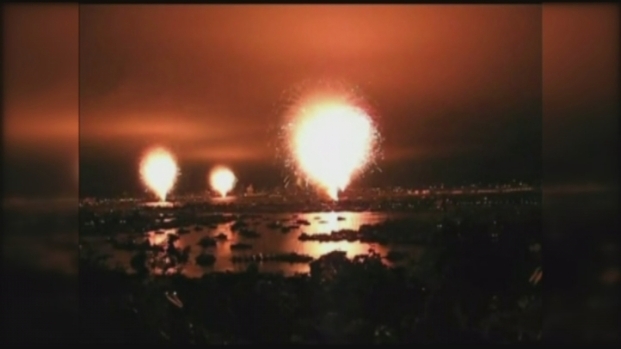 Sandy Purdon, the show producer for the Big Bay Boom, talks about why the fireworks went off all at once.